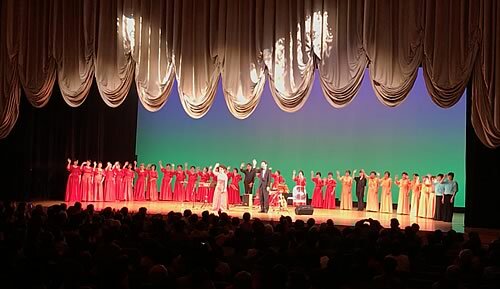 The sound of JAPAN(TAISHOGOTO) has fascinated me a lot and since then with the motto "JAPAN,TAISHOGOTO is one of the best string instruments", I have been working on spreading the instrument as well as performing in public. 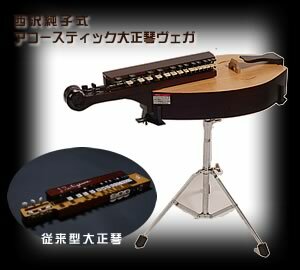 In terms of showing Japanese-made instruments to the world I started this web site. 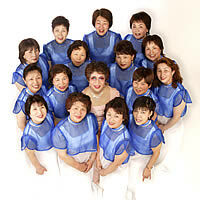 Enjoy my web site Junko's Room. フルート協奏曲「荒城の月」　(Kojo no tsuki) 4 min. 18 sec. アルハンブラ宮殿の思い出　（Recuerdos de Alhambra ） 4 min. 17 sec. A bird living in Japan, called Toki is officially named "Nipponia Nippon"and a kind of lacquer ware is called "japan". 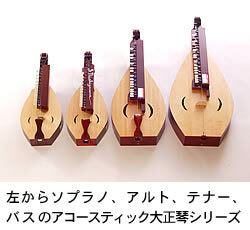 "TAISHOGOTO" is the only musical instrument which was born in Japan. Therefore, we call the TAISHOGOTO, "JAPAN" with much pride. 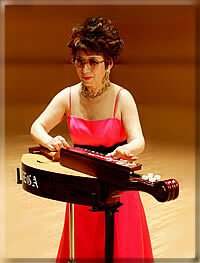 I devote myself to playing it in order to spread the name of "JAPAN" as TAISHOGOTO throughout the world.